Creative Nonfiction Out Loud - Write Nonfiction NOW! One of the best ways I know to explore material you have already discovered and to generate new material is to write a short radio essay—sometimes called a commentary. To me such a piece is more narrative—story—than it is commentary—which is what makes it so exciting. The kind of radio piece I write—and love to hear—has two parts: first, the event or experience. The story. Radio is an intimate medium. You don’t address a crowd—you talk to each person privately. That intimacy is one reason it is a wonderful medium for the writer. You’re not shouting or declaiming but talking confidentially in a conversational tone. So your first person narrator tells a story about something you witnessed or did. The delivery is informal, personal, informed by the narrative intelligence you bring: all you know, your values, your style, everything you have ever read, all you have experienced in life, that ineffable personal stamp that results in style. The second part is the reckoning. That is, it’s not enough just to relate an anecdote about your life or a historical moment or whatever. It has to mean something. It has to elevate the anecdote to story. This is hard in a piece so short—typically 300 to 500 words, which plays as two and a half to three minutes on the air. But it’s crucial. Many anecdotes are just that—narrative leftovers, or else tidbits that never quite developed beyond being your own private snapshots. Now here’s the tricky thing. Parts I and II, as we’ll call them, are not necessarily equal in length. In fact, they hardly ever are. And further, sometimes the story contained in Part I also contains, implicitly, Part II. That is, you can tell a story in which the meaning is embedded in the story itself and needs no further drawing out. Many cautionary or instructive folktales operate this way. After you’ve read how the boy Peter cries wolf repeatedly as a hoax and then cries “Wolf!” when the real wolf appears—and no one comes to his rescue—we don’t need to have the meaning explained. So the two parts of the radio essay are not structural but elemental —the content and the way that content enlarges to mean something to every listener. The beauty of this form is that it doesn’t require an epic subject or years of research. The radio essay is focused on one effect. It introduces a small piece of reality, dramatizes it using all the storyteller’s tools of setting, scene, and dialogue, and then leaves the reader with an image or idea that captures the essence of the piece. If you’ve done your job right, the listener will be emotionally affected by it, will cry or laugh or enjoy a silent “driveway moment,” maybe even ponder what he or she has heard. For the writer, the advantages are many. One, it’s a short form, so you can try on various memories or events until you come up with on that goes—and it won’t cost you a lot of time and will probably teach you a lot about the nature of durable story ideas. Second, the radio essay forces you to read your work out loud, listening for stumbly prose, unintentional rhymes, ugly words. You learn, for example, that all profanity is amplified out loud. Third, you learn about sequence, which is the beating heart of storytelling: this happened first, then that, and so on. The listener has one chance at hearing it, and can’t go back and clear up confusion, so you need to get the sequence exactly right. Fourth, the discipline of such a short form teaches you to be relentless in fashioning a story. In just two or three minutes, you can perform a memorable reading. Fifth, these short pieces often form the germs of longer essays. Many of the essays in The Patron Saint of Dreams began life as very short radio pieces, then nagged at me to grow larger and find an audience in print. 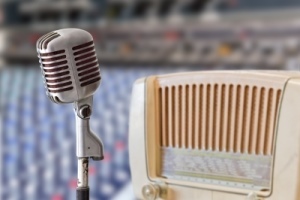 Many local NPR affiliates take on commentators who know the form and can speak well, in an authentic rather than stagey voice. And even such short pieces can find their way into print or online journals. Brevity.com routinely publishes very short work of this type (Lori Jakiela, “You’ll Love the Way We Fly,” is a lovely example, even if it was not written for radio) from Brevity 11. They also published my radio piece “Hang ‘Em High”. Whatever home you find for the finished piece, you learn a great deal of valuable craft in the making of such essays. Happy writing. 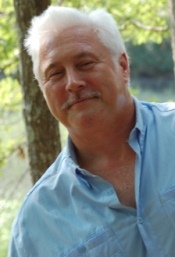 Philip Gerard is the author of six books of nonfiction and three novels including Down the Wild Cape Fear– A River Journey Through the Heart of North Carolina, Secret Soldiers–The Story of World War II’s Heroic Army of Deception and Brilliant Passage. . . a schooning memoir. He has also written numerous essays, short stories, public radio commentaries, and documentary television scripts. His work has been nationally syndicated by the History News Service and featured on National Public Radio. His commentaries air regularly on WHQR (NPR affiliate serving Wilmington, Southeastern North Carolina and Northeastern South Carolina). He has appeared on “All Things Considered,” CNN, CSPAN, and the History Channel, in additional to regional and local media. He lives in Wilmington, North Carolina, with his wife, Jill, and teaches in the Department of Creative Writing at the University of North Carolina Wilmington. Photo courtesy of tungphoto | Freedigitalphotos.net. Amazon links contain my affiliate code. Incredible advice. THANK YOU. I do write for our local public radio, and now, I can polish that work up. THANK YOU.